Last week I was catching up on a backlog of summer trips. Now for a slightly more recent excursion. At the beginning of August, I visited island #5 in my island hopping project to visit all of Ireland's inhabited offshore islands. 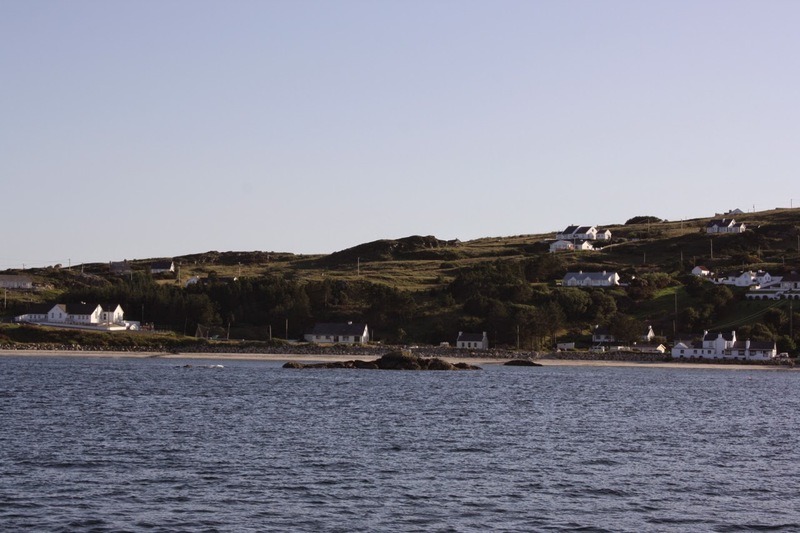 Arranmore Island off the south coast of Donegal is among the largest of the islands and has one of the biggest island populations. (Arranmore - in Irish, Oileán Árainn Mhór - not to be confused with Inis Mór Árainn, the biggest of the Aran Islands off the Galway coast, though their names are very like.) 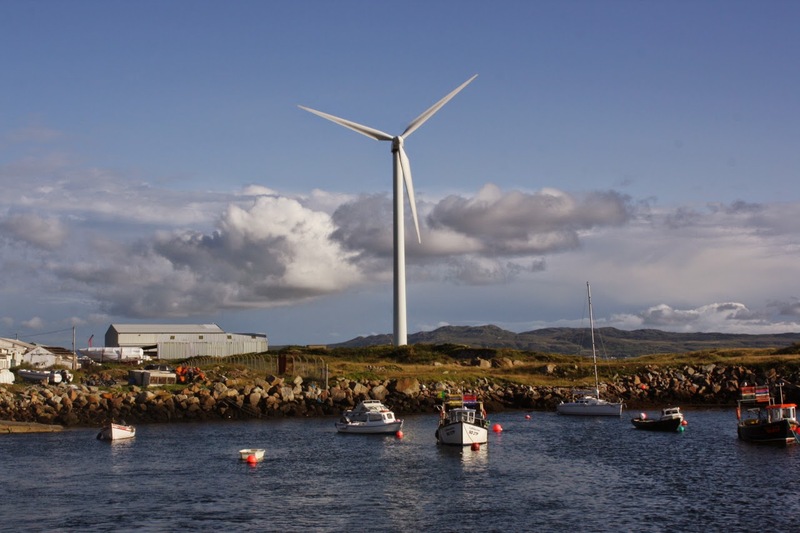 Like many of the islands, Arranmore is a Gaeltacht and Irish is still the main language of many of the islanders. 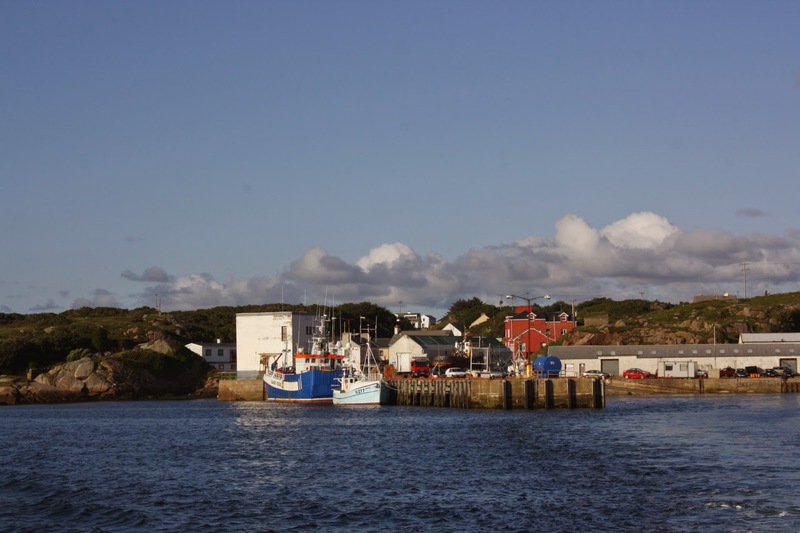 Unlike Tory, which I visited last summer, Arranmore is a mere stone's throw from the mainland: ten minutes in a fast ferry from the village of Burtonport. And when we left on a Friday evening, the sun came out to gild the voyage. We could have been sailing to a Greek island - almost. The ferry isn't big, but it can take cars and, since we were staying for the weekend, we elected to bring the car with us. I'm just glad that it wasn't my responsibility to reverse the car up the little ramp and on to the deck… Still, that done, we made our way up on deck for the short crossing. I think that ferry boats like this are a big part of my fascination with island life. There are some beautiful holiday homes on the islands - which are only accessible by private boat. 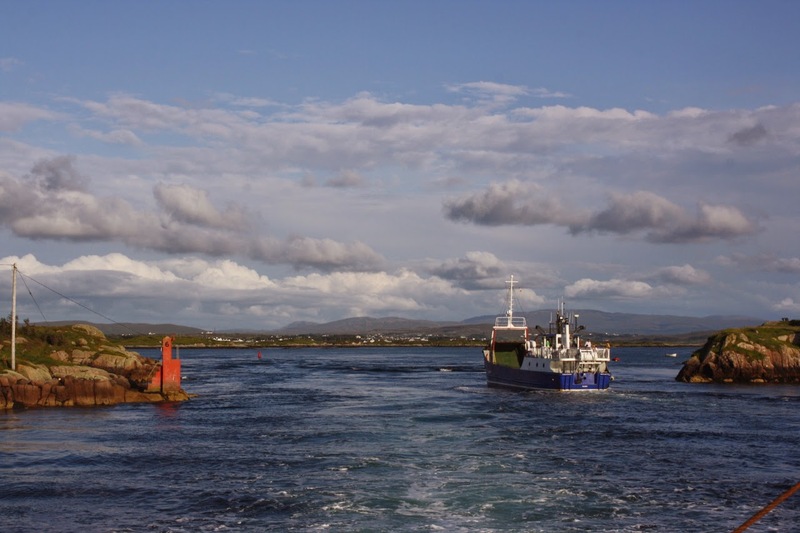 Two ferry companies make the trip back and forth: the red Arranmore Ferry company and the blue Arranmore Fast Ferry Service . 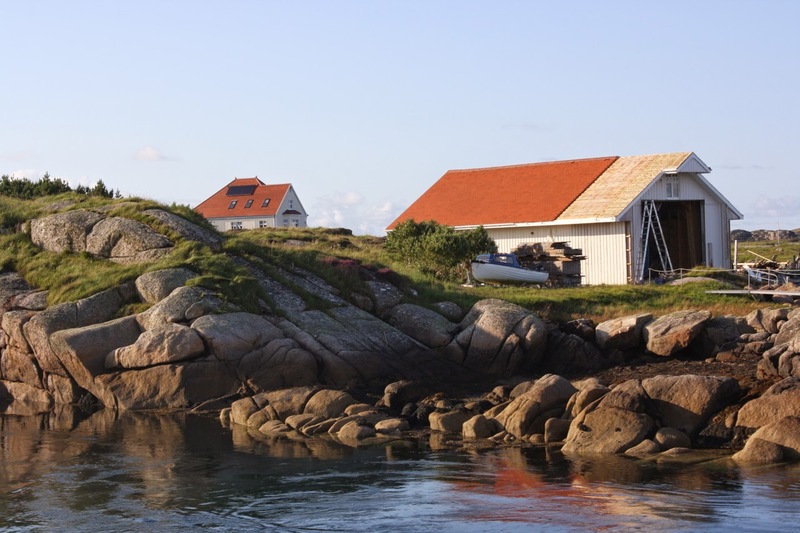 Very soon after leaving Burtonport, you arrive at Leabgarrow, the village of the island. One final note on the ferry. Though Arranmore has many, many things in its favour, there are limited options for evening meals. 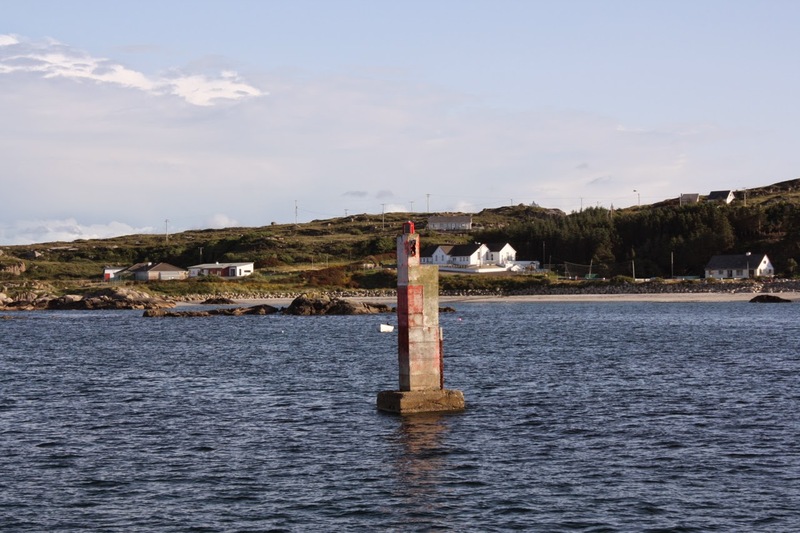 So on the Saturday night, we took advantage of the fast, friendly, scenic ferry to hop back to Burtonport for dinner, before returning to the island for bed! where di u get the fast ferry..i dont recall one since they went out business 5 yrs ago !!!!!!!!! The fast ferry did not go out of business...they purchased car and passenger ferries- just to set you straight anonymous!